Colleen, a writer for the Facebook Chat instant messenger Chit Chat for Facebook, analyzes a competing Facebook instant messenger. At Chit Chat for Facebook, we like to think that our desktop Facebook instant messenger is ideal solution for all Facebook Chat users, that’s not always the case. Chit Chat offers Facebook emoticons, chat history, status notifications as well as a range of other additional functionality allowing you to use Facebook Chat on a traditional desktop instant messenger client, basically like MSN or Yahoo Messenger. More specifically, whilst Chit Chat takes Facebook Chat and makes it accessible from your computer – i.e. without your web-browser not everyone finds that solution ideal for them. Some people like to use their web-browser to instant message, and would prefer to take all their desktop instant messengers to their web-browser. Meebo may be a new word to you - it's the free IM that allows you to login to all your IM networks using any computer, as long as it has an internet connection, a browser and no issues with the firewall. It uses various technologies including AJAX so that it can act more like a desktop app, and this makes your usability much more dramatic. In addition to IM, Meebo offers various other services, including an IM client for personal or corporate web pages, and a chat room client. 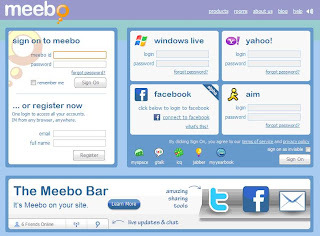 Some Meebo users have also experimented with using it as their desktop page, almost like a Windows app, for the purposes of their instant messaging. Meebo works the best with the most recent versions of most browsers, so if you want to accentuate your Meebo experience, you may want to switch to a browser that is more Meebo-friendly. To login to Meebo, sign up, if you haven't already. This can be done within the same frame. If you have more IM networks than one, enter your account information for each network and then sign on. If you don't have any IM accounts yet (does this really happen? 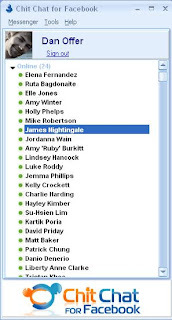 ), create those accounts with their individual IM clients first. Meebo has links on their main page to access any of the most-used IM's. 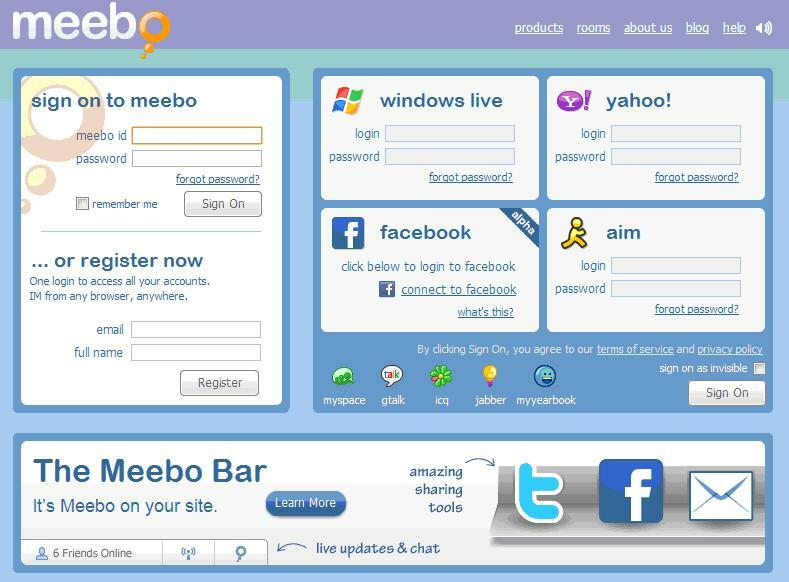 Meebo supports Jabber, ICQ, Google Talk, MSN, Yahoo and AIM. Once you login to Meebo, there will be a friendly page displayed. You'll first notice your Buddy icon. This is the image that your “buddies” will see as they chat with you. You can change that image by clicking on it and selecting or uploading an image you want. There is an area on the Meebo main page that will display your account status, including all the IM accounts that you have already added to your individual Meebo account. If you are not connected to a particular IM network when you login, that account will be shown in gray. You can click on any network account to sign off that connection if you need to. To see your IM accounts, you can click on them to manage each one, all of which can be done through your Meebo account. You can set Meebo to play a sound when you receive and send IM's, if you want one, and you can set your preferences to display emoticons. The themes and skins can be changed to suit your personality or your mood. You can create an IM chat window to be embedded in your own site, and use various themes. Available rooms can be searched for and visited from your Meebo home page. When you want to IM one of your buddies, double-click on their name in the buddy list, and you'll see an IM window appear for chatting. You don't even need a Meebo account to use Meebo, but they do recommend that you sign up with them, to take advantage of benefits you can't see if you don't have an account. This includes an automatic login to all your IM's, the ability to access and manage all your IM accounts from the same place, and the chance to save your chat logs. Signing up with Meebo will also allow you to transfer files, create Meebo widgets, customize your Meebo page with skins and themes, and moderate and configure your own Meebo rooms. To send a message from Meebo, just hit Enter – no “send” button will be found. 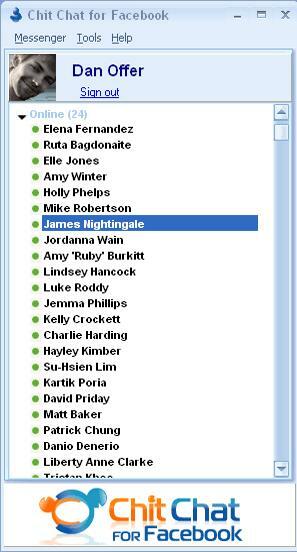 If your party is away, you can leave IM offline messages for buddies on Jabber, Google Talk, Yahoo and ICQ.